I decided early on I wanted the hutch to have white doors with a blue case. Easier said than done of course. 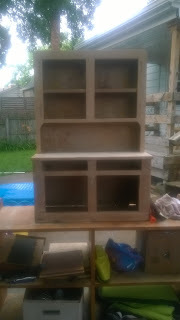 I spent days sanding. 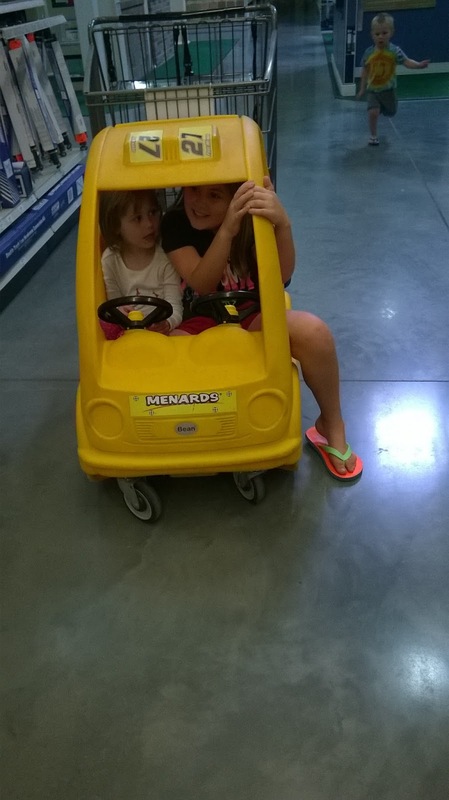 Menard's had the paint on sale with a rebate so I put the kids in the car and picked the paint up then. Wood putty is my friend. The sides where water damaged the wood were filled with it. It is sturdy and can be played with, that is what I wanted. I didn't want to replace the wood on the sides or back cause I didn't have anything that big. The bottom piece disintegrated on the way home. 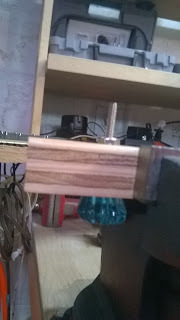 We also found a piece of scrap wood 3/4 inches thick for the bottom, shaped it around the support and knocked it gently up in place to just the right spot, or at least what I liked. Next I/we replaced one of the drawer fronts. The plywood had broken. I went to Menard's for a router bit, we had just gotten a used router and table and I ordered the Colet on Amazon. I found the profile of the old drawer front and then found a pack of 12 different bits for about $30. It was either buy a cheap set and play around with them or buy one expensive bit to have for ever. As few times as I have used a router I went cheap. 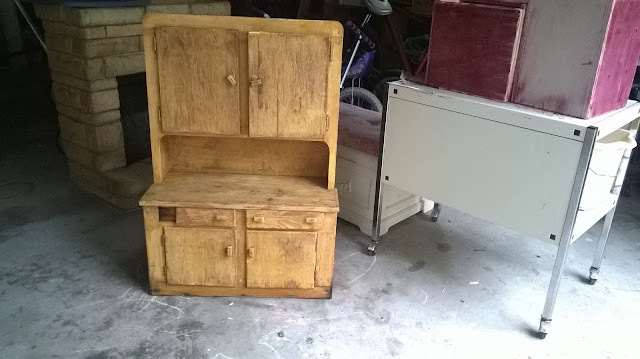 Ryan had extra plywood and made two drawer fronts. I chipped one initially and the other one came out looking good and I glued it to the box. New were drawer pulls. I wanted blue to set off from the white and knew Hobby Lobby was having a half price sale. I ran over and found 8 knobs that had close enough color. 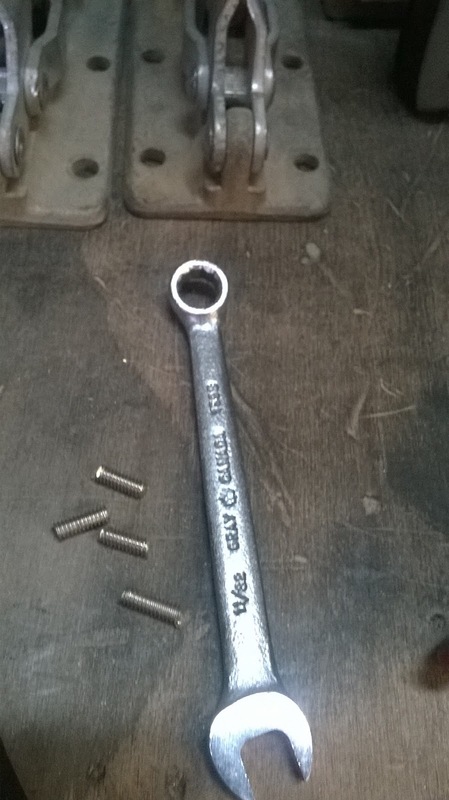 The problem was the shank (metal part) was too long. Thankfully I had scrap wood. 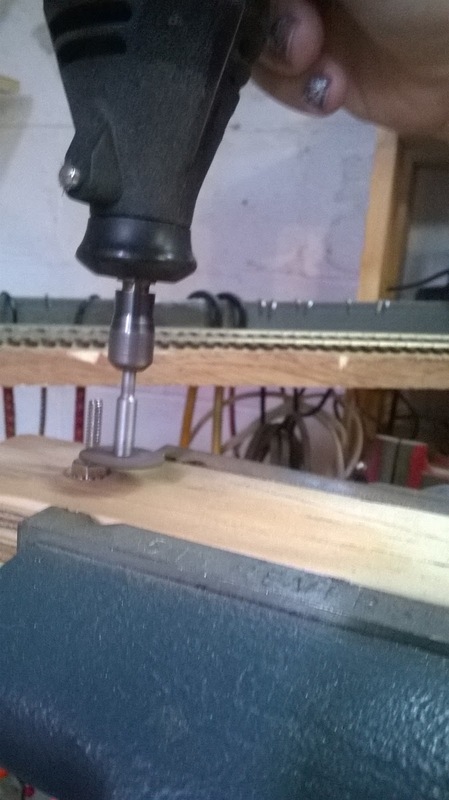 I drilled a hole and put the pull on upside down. We even had this little wrench we found at a garage sale this summer. I came in a hand full of little guys that I cleaned up for only $2.00. 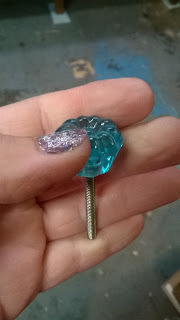 I enjoy power tools so I got a cut off wheel on the dremel. 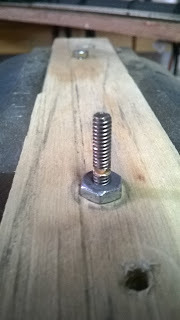 I also put a sacrificial nut on the shank so when I did cut it the nut would re thread the shank. You can see below the cut almost all the way though. This is where I tell you don't touch the shank. IT IS HOT. You will melt your fingerprint. I know. I cut all 8 and tucked them away until I was done painting.